For the first time in nearly half a century, a rare albino bottlenose dolphin was sighted at an undisclosed estuary off Florida’s east coast. Danielle Carter, a volunteer with the Florida Fish and Wildlife Conservation Commission, was fortunate to have been at the right spot at the right time, shooting a video of the dolphin frolicking close to shore Dec. 10. The commission posted the video clip to YouTube http://youtu.be/DzlD845npq4. FWC officials intentionally have not confirmed the actual location where the video was shot, voicing concern for the animal’s safety. Some 20 species of dolphins, whales and porpoises are known to exhibit albinism. They are a lighter color — sometimes, but not always, white — because they lack melanin pigment in their skin. 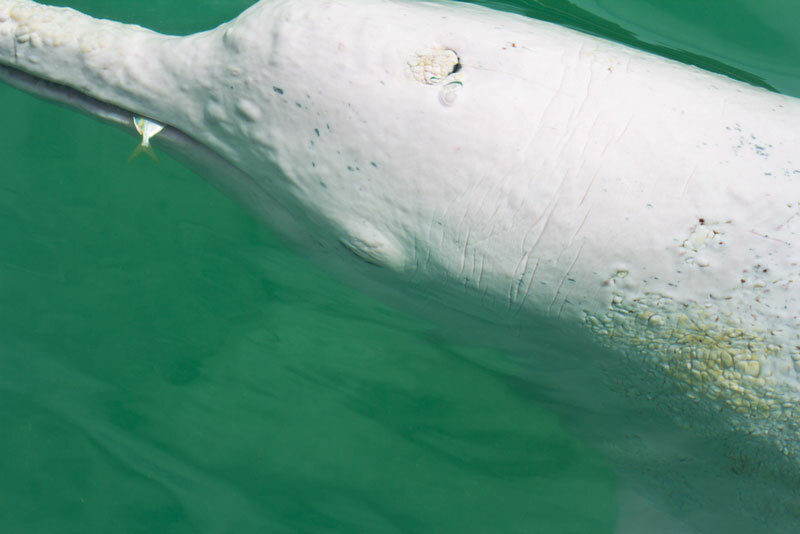 There have been only 14 recorded sightings of albino bottlenose dolphins since 1962, according to the National Oceanic and Atmospheric Administration. Carter’s would be the 15th sighting.